So what have we picked for you this week? Mark Gardener promotes his new solo outing: Beautiful Ghosts. Televise and Model Morning These join the bill at the Luminaire. Saturday: Glam gutterpunks Lorca play Flook @ Nambucca, 596 Holloway Road, N7. 7.30pm - 2am. Meanwhile over at Frog at the Mean Fiddler is the announcement of South London’s Dylan style white boy hip hop and Kent guitar maestro making up a top double bill. And so it is. 11 till 4. Sunday: Roachford's back with his Cuddly Toys at The Spitz. That is if he ever went away. 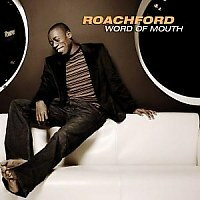 Does anyone know if Roachford ever went away, and does his guitar player still look 12? Monday: The American Music Club's Mark Eitzel plays an evening of high comedy and amusing stories, or not, at Bush Hall. Tuesday: Mercury nominated and rather excellent folker Seth Lakeman will be upping fiddle and singing songs about a world before Windows (of either variety) at the Islington Academy.